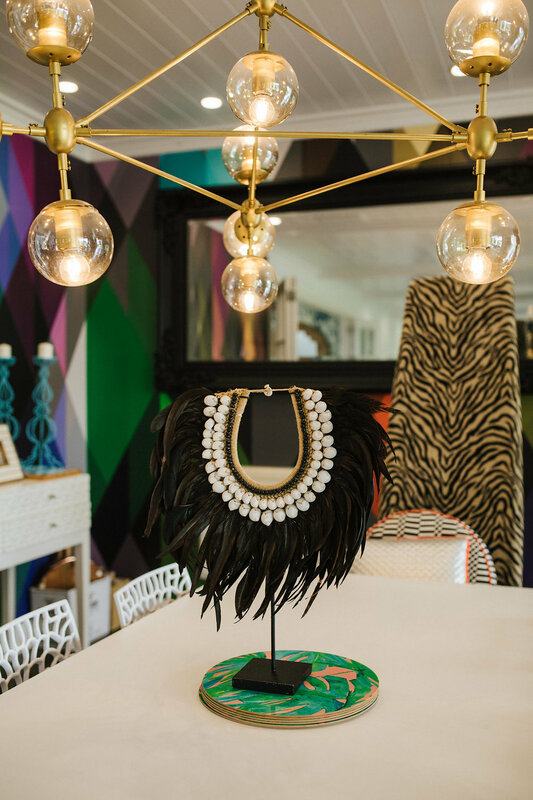 Taking that leap of faith to build a fashion empire has paid off in spades for Kelly Coe founder and owner of Augustine, designer women's clothing brand. A family affair, this colourful brand started with one label and today with eight ranges and three little girls to foster; editor Trudi Brewer learns a valuable lesson in how not to sweat the small stuff. Kelly Coe is the first to admit you need to learn fast when starting your own business. With lofty goals, "I am on a mission to change the way New Zealand women wear fashion and teach them how to embrace colour." 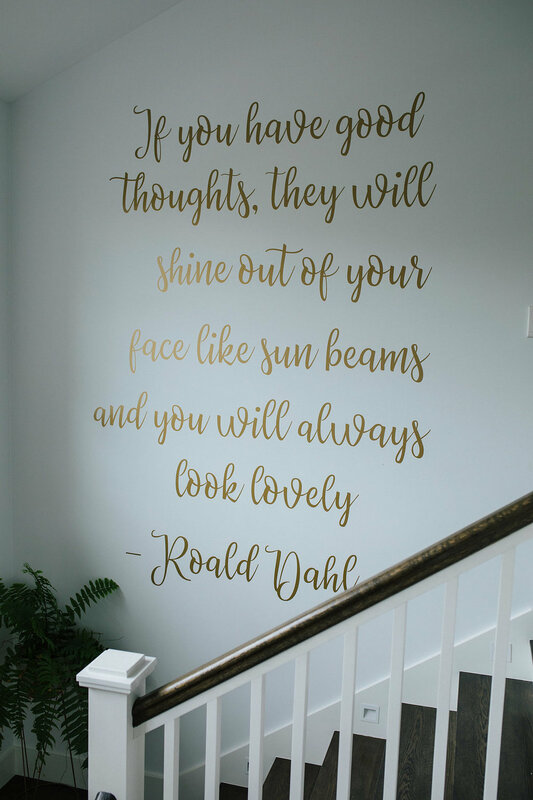 That same bright attitude is evident in every room of her home. 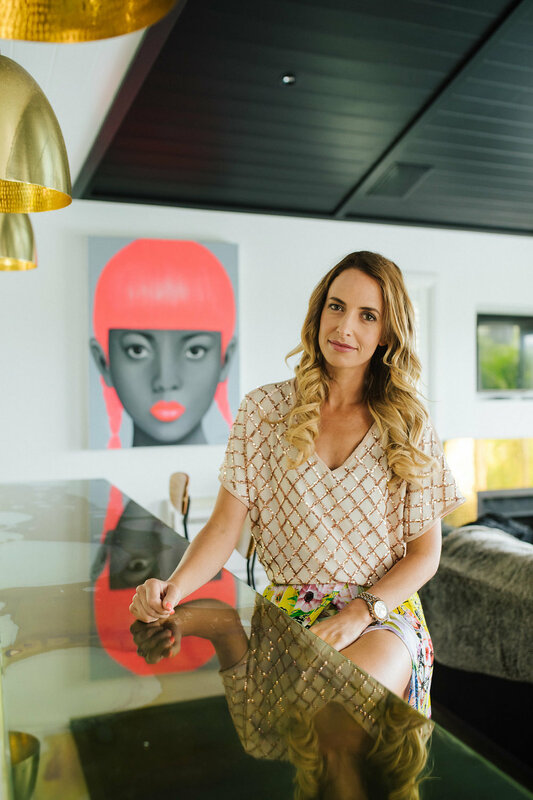 Find out how Coe juggles a busy career, family and still looks effortlessly chic. 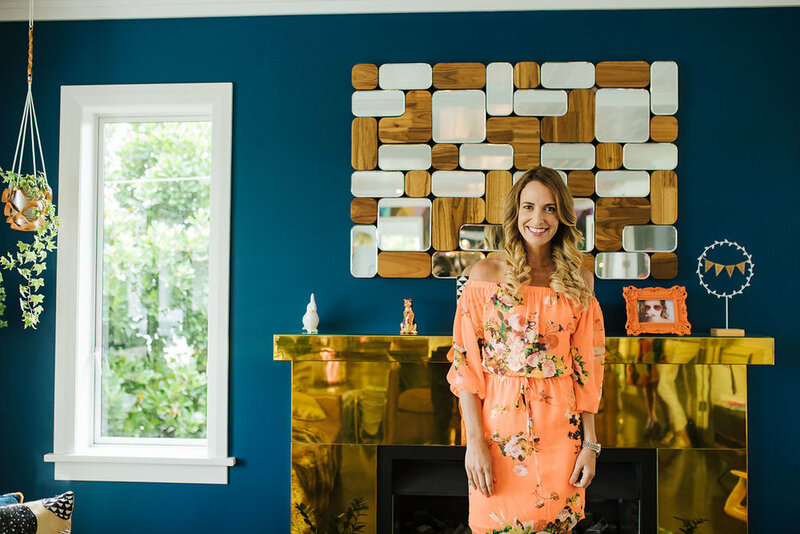 Brewer spent a morning in her stunning Auckland home to learn how she views her career, motherhood, wellbeing and of course that fast-paced world of fashion. How did the brand Augustine begin? Almost 10 years ago I saw a gap in the market for pretty, affordable clothes. So we set about changing that and bringing colour to New Zealand fashion. The brand has evolved since then with the growth of six new labels. You have eight other brands, how do you manage them all? I only design Augustine and Charlo myself. For the other labels, I have help, so it’s a real team effort. My partner Nathan oversees the logistics so that I can concentrate on the creative side of the business. What are you most excited about in your winter collections? I hate winter for the weather, but I love it for the fashion. We have knee-high blush pink boots launching in our Hey Monday collection that have sequins around the top. I can’t wait to wear these with a pretty floral dress and leather bomber this winter. Also, a faux fur hot pink jacket to wear over a dress or with denim and again those knee-high boots. Why do you have retail stores when online is increasingly the way women like to shop? Shopping online is about convenience; women shop in-store for the sheer pleasure that shopping gives. Bricks and mortar stores will never die, shopping is a hobby, and I can't imagine a world where women wouldn’t want to meet a bunch of girlfriends and go out for lunch and a shop. The challenge for us it making sure those stores are worth the visit, worth the time and make women feel amazing when they are there. If I have a creative idea and I can see it working, I don’t have to convince anyone else that it will work. Nathan trusts my judgment, and he gets it underway. I would hate to have to sell my ideas to a CEO and convince them why it's worth pursuing. Also working flexible hours to fit in with my kid's schedule is fantastic. I work school hours, so I fit in as much as I possibly can in those before I do school pick up and take my three girls to after-school activities. It means I have to work at night sometimes to get things done, but it’s worth it. When I'm in the office, I could be designing, planning season launches, directing a photo shoot, meeting with staff or liaising with our China office. Also picking new fabrics, brainstorming and putting ranges together - no two days are ever the same, and I love that. How tricky is life juggling three kids and your growing fashion empire? It's tricky. I try to be everything to everyone, and it can be exhausting. Also our youngest daughter Havana is a crap sleeper. We found a fabulous nanny when Havana was born, (we didn't have a nanny for the other two girls), which has made life much more manageable. And when I am not home, I know Havana is happy. The great thing about working for myself is that I never miss the important things in my children's lives, like a cross-country or school sports day. But I do say no to many invites and events because it would take me away from the kids. Having Nathan in the business is a huge help, he is in the office full time, so when I can't, there is. Our girls love coming into the office with their friends and running through the racks of clothes and playing dress ups. I hope when they grow up they remember being part of the business and watching mum and dad work hard for a company we love. I hope it inspires them to choose a career they are passionate about and not just work for the sake of working. What has been your greatest challenge in business? Convincing women to wear colour. We are slowly winning that battle. Also, starting out, we did everything ourselves, and that was hard. Nathan and I were distribution, accounts, sales, marketing, design - basically everything. Starting a business, you need to learn fast. What has been a career high to date? It is hard picking one. Last year when we opened our new Newmarket store. We celebrated with 300 ladies; it was that night, we sat back and took it in for a minute and realised that we were doing something right. It was a very proud moment seeing the Augustine flag from the motorway. Also, I still remember the very first time I saw someone in public wearing Augustine, I nearly cried. I still feel joy seeing ladies wearing my clothes every day. In this fast-paced fashion, retail landscape, where do you get your inspiration to keep on trend? I don’t worry about keeping on trend, or following what's on the runways. I design what I think New Zealand woman want to wear. Not only in Auckland where you may dress to go out to a fancy restaurant, but also for a mum who lives in Invercargill that is picking the kids up from school. I ask myself what does she want to wear each day? That’s what matters to me. I want to transform the way women thinking from wearing black polar fleece to a bright coloured feminine floral top, to feel amazing. We drop a new collection into stores every month, so we are fast paced, but that’s what makes our label fun. I am on a mission to change the way New Zealand women wear fashion and teach them how to embrace colour. How would you describe your family home? Comfortable, colourful, and full of fun and love. It’s a busy, bustling hive of activity, and there are toys everywhere, and I love that. Your fashion brands are colourful and fun, what did you do to incorporate that into your interior style? I love mixing colours and prints. My philosophy is more is more, and that reflects in my home. I will have an animal print chair next to printed wallpaper. It brings fun into our house and the kids love it. In summer our central living area. We hardly ever use the formal lounge that is why it is always tidy and has no toys in it. During winter I will sit on the tan couch with the fur rug in front of the fire and watch TV. I love the peacock blue-coloured wall with the gold fireplace. I don’t treasure possessions. I love items in our house, but I don’t cherish them. I treasure the memories we make with our kids and the photos on our walls. I want to cover the walls with a hundred pictures of our life together, the kids and memories we have made as a family. More is more. A blank wall is a canvas to be creative and do something fun. Don’t be scared of colour or doing something a little different. Some of Coe's beauty favourites include, Hourglass Ambient Lighting Bronzer, $79. Little Honey Bronzing Mist, $45. MAC Studio Sculpt Foundation, $70. L'Oreal Paris Paradise Mascara, $27. J Bronze One Hour Rapid Tan, $50. 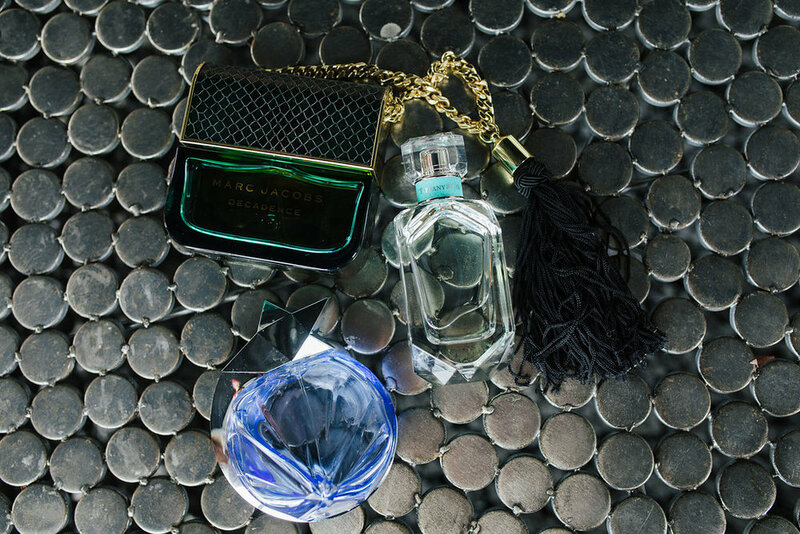 Marc Jacobs Decadence, $163. Tiffany & Co EDP, 50ml, $179. It's fast. Shower, makeup, and then I style my hair. That routine needs to happen in 20 minutes. I have regular blow waves at a salon so that I don’t have to bother doing my hair to save time in the morning. Lip gloss, I have ten on-the-go at once, and can't live without L’Orèal Paris lip gloss it's not sticky, and the colour range is fantastic. Get a professional salon blow wave; it makes you feel so much better. And invest in a good bronzer with a bit of sparkle in it. What’s your favourite fragrance right now? I have a fragrance addiction; I don’t shop for clothes, so I replace it with sunglasses and fragrances. I love Thiery Mugler, Alien, and Angel, Marc Jacobs Decadence. How do you keep in such good shape after having three children? I love running. But that is the only exercise I do because I have no time for the gym. I eat healthy meals, but I have a sweet tooth, I have naughty snacks, but I run the calories off. I run about four or five times a week. I started running again four weeks after having each baby, and I am hoping to do another half marathon this year if time permits. I have also taken up social netball again which is fun. No. I hate diets because none of them allows for my sweet tooth. I eat well; I don’t eat deep-fried foods. But my lolly addiction is alive and well. What wellness advice would you give other busy working mums? Don’t make excuses not to exercise; I hate hearing that woman are too busy to stay fit; there is no such thing. There is always time for a quick run, walk the kids to the park, do a home workout, put the kids to bed and do a kickboxing session to a DVD. There is always time for some exercise if you want to be fit. What are the elements of a great fashion look? It needs to be a complete look. You can’t have a great outfit, and then not bother doing your hair. An outfit needs to fit the occasion. I choose 'sports luxe' at home on the weekend, 'glam' for a night out and 'casual with sparkle' for daywear. I like to mix and match so I can mash a bunch of colours and prints together. I don’t believe in boring; I love to wear colour, a sequin skirt with a print top, leopard print sneakers, and bright tassel earrings. I have been known to do the school pick up in a long floral maxi dress with a sequin blazer and sparkly pumps. I love Balmain, Chloe, and Zimmerman internationally. Locally I adore how WORLD pushes all colour boundaries and is unique. When I go to fashion weeks, I love seeing the new up and coming designers; they are not scared to show off individuality or be outrageous, they just do what they love. Oversized sunglasses, oversized earrings, sequins and a mix of colourful prints. Who do you follow on social media for fashion inspiration? I don’t follow other clothing brands as I find that boring, I would rather follow influencers and celebrities such as Olivia Palermo, Rachel Zoe, and Victoria Beckham they have great Instagram accounts that give fun snapshots into fashion. Closer to home, Australians Anna Heinrich or Jen Hawkins. I am sad to say I don’t find many inspiring New Zealand influencers as they wear too much black, and don’t dress up. We need to dress up more. Aussie girls are much better at wearing colour and dressing up. Who is your go-to fashion icon? I hate this question as I don’t have a straight answer. I don’t have just one; inspiration is images I see every day. I love Kourtney Kardashians unique vibe - she doesn’t care what the world thinks of her style. Blake Lively rocks the red carpet. Meghan Markle has sophisticated glamour, and Victoria Beckham never gets it wrong. Colourful, sparkly, fun and possibly overdressed on many occasions. Don’t save anything for a special occasion. Life is a special occasion, why wait. Wear it now.